Antoine Burks knew his path. He knew he wanted to become a criminal lawyer. He had mapped out his course to success. To achieve his goal, Burks decided to leave Terre Haute and pursue a Criminal Justice degree from the School of Public and Environmental Affairs at IUPUI. “I really, really enjoyed the topics and discussions in my criminal justice classes,” Burks says. His plan would then have taken him to law school. But it didn’t take long before he realized that even though his dream looked good on paper, it wasn’t his passion. That’s when he decided to change course. Burks says SPEA’s motto—Major in Making a Difference—is why he shifted his primary focus to criminal justice. SPEA’s criminal justice major teaches students how to protect communities and citizens. The courses provide an in-depth look at the policies, procedures, and history behind America’s criminal justice system. Students experience a mix of courses, such as criminological theory and policies, criminal law, policing, data analysis, courts, and corrections. The criminal justice major also provides an opportunity for students to team-up with SPEA faculty to research a wide array of issues happening right here in Indianapolis. SPEA’s highly-qualified faculty and the real-world experiences they bring to the classroom are what left a big impression on Burks. He recalls lessons from clinical lecturer Jim White, who served in law enforcement and the military prior to entering the classroom. 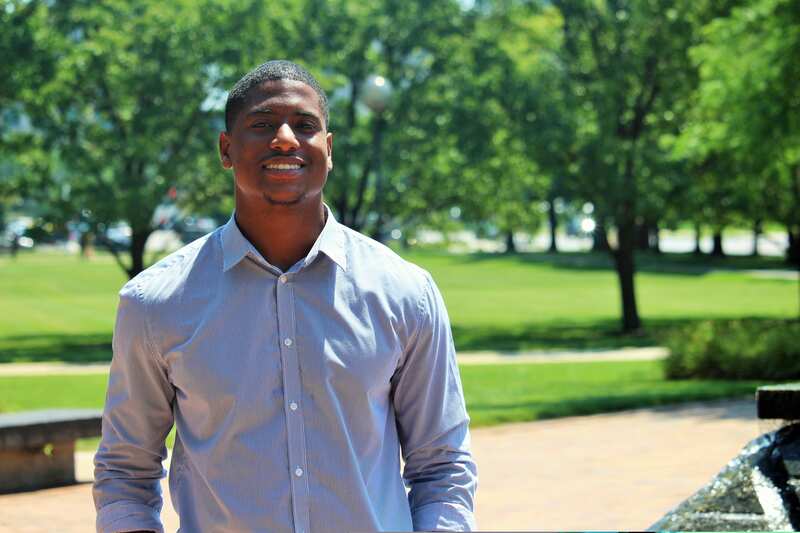 Those discussions, lessons, and professor interactions led Burks on a path to his Capstone project. SPEA’s Capstone classes allow students approaching graduation to share their expertise with the community by tackling real-world challenges that local organizations face. Students work in small groups to analyze data and provide meaningful, concrete, and actionable recommendations to their partner organizations. Recent SPEA Capstone projects have included work with the Marion County Commission on Youth to assess the effectiveness of its Early Intervention and Prevention Initiative and make recommendations about the program’s future. Another project examined the economic impact of the Indianapolis Cultural Trail and ways to improve it. Burks retained the research skills he developed in his Capstone class and has used them in his career. After earning his degree in 2015, Burks worked as a senior case manager in the Marion County Drug Treatment Court Diversion and Re-Entry Court Programs. He says that while some people may have preconceived impressions about those serving time in the system, that’s not how he views people with whom he works. Burks’ commitment to that calling combined with his education in criminal justice may mean another course correction is on the horizon. He eventually wants to start a nonprofit that will simultaneously focus on helping youth in the juvenile justice system, while working to prevent other young people from making the same mistakes. While he may have changed course during his career at IUPUI, Antoine Burks has his mind set on a new goal now. It isn’t one that is tied to a specific career path or a job title. Instead, it’s a mission-driven, community-focused goal that was built upon SPEA’s foundation to Major in Making a Difference. As Burks has learned, change is a necessary part of that mission. “You never know if you’re going to change something if you don’t do something. You never know if it’s going to work if you don’t try it,” he says.